Epic Gas Ltd. announced today that it has taken delivery of the 7,500cbm tanker Epic Borinquen from Sasaki Shipyard of Japan. The vessel will deliver straight into a time charter for trading in Asia. Sasaki have built six of the Company’s vessels on the water, with a further two to come. Prior to Borinquen, the yard has delivered to the Company four 5,000cbm ships including the Epic St. Croix and Epic St. Thomas in 2014 and the bareboat chartered-in 11,000 cbm Epic Sicily in 2015. Epic Gas remains committed to the delivery of a high quality fleet of long term controlled assets across the full pressurised sector of 3,300 – 11,000cbm, with an outstanding new building program of two 7,500cbm vessels and four 11,000cbm vessels, plus an additional 11,000cbm new building to be delivered under a bareboat charter to Epic Gas. 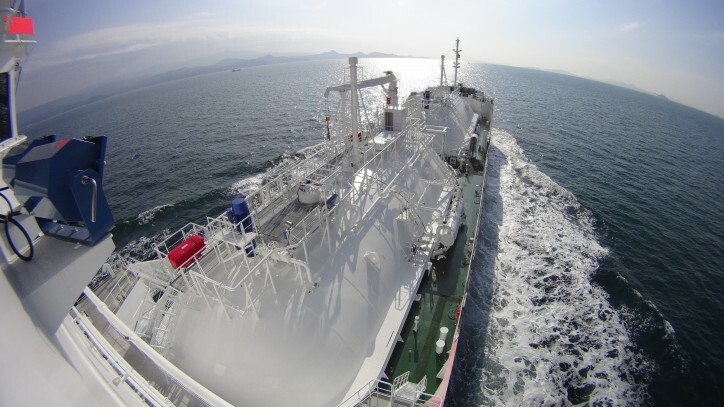 Epic Gas owns and operates a fleet of fully pressurised gas carriers providing seaborne services for the transportation of liquefied petroleum gas and petrochemicals. The company controls a fleet of 44 vessels which serve the international supply chains of leading oil majors and commodity traders throughout Asia, Europe, Africa and the Americas.